North Korea is one of the most troubled societies on earth. The country's 24 million people live under a violent dictatorship led by a single family, which relentlessly pursues the development of nuclear arms, which periodically incites risky military clashes with the larger, richer, liberal South, and which forces each and every person to play a role in the "theater state" even as it pays little more than lip service to the wellbeing of the overwhelming majority. 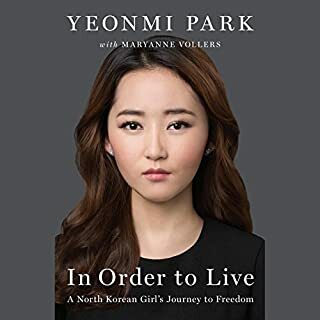 In Order to Live is the story of Yeonmi Park's struggle to survive in the darkest, most repressive country on earth; her harrowing escape to South Korea through China's underworld of smugglers and human traffickers; and her emergence as a leading human rights activist - all before her 21st birthday. Good story, narration wasn't well suited to it. If You Follow North Korea, you should read. Born in 1970s North Korea, Lucia Jang grew up in a typical household - her parents worked in the factories, and the family scraped by on rations. Nightly she bowed to her photo of Kim Il-Sung. It was the beginning of a chaotic period with a decade-long famine. Jang married an abusive man who sold their baby. She left him and went home to help her family by illegally crossing the river to China to trade goods. She was caught and imprisoned twice. Every day, three times a day, the students march in two straight lines, singing praises to Kim Jong-il and North Korea: Without you, there is no motherland. Without you, there is no us. It is a chilling scene, but gradually Suki Kim, too, learns the tune and, without noticing, begins to hum it. It is 2011, and all universities in North Korea have been shut down for an entire year, the students sent to construction fields - except for the 270 students at the all-male Pyongyang University of Science and Technology (PUST), a walled compound where portraits of Kim Il-sung and Kim Jong-il look on impassively from the walls of every room, and where Suki has accepted a job teaching English. Over the next six months, she will eat three meals a day with her young charges and struggle to teach them to write, all under the watchful eye of the regime. Life at PUST is lonely and claustrophobic, especially for Suki, whose letters are read by censors and who must hide her notes and photographs not only from her minders but from her colleagues - evangelical Christian missionaries who don't know or choose to ignore that Suki doesn't share their faith. As the weeks pass, she is mystified by how easily her students lie, unnerved by their obedience to the regime. At the same time, they offer Suki tantalizing glimpses of their private selves - their boyish enthusiasm, their eagerness to please, the flashes of curiosity that have not yet been extinguished. She in turn begins to hint at the existence of a world beyond their own - at such exotic activities as surfing the Internet or traveling freely and, more dangerously, at electoral democracy and other ideas forbidden in a country where defectors risk torture and execution. But when Kim Jong-il dies, and the boys she has come to love appear devastated, she wonders whether the gulf between her world and theirs can ever be bridged. If you could sum up Without You, There Is No Us in three words, what would they be? I heard about the author when she was interviewed on NPR. The book sounded interesting and the circumstances allowing Suki Kim's access to teach English in North Korea intrigued me. The book is a fascinating, sometimes heartwarming but mostly sad and shocking look into the isolated and bizarre place. I would highly recommend it. Would you consider the audio edition of Without You, There Is No Us to be better than the print version? Probably. I enjoyed Janet Song's performance in this book. I am not familiar with many of her performances, but as a biography she narrated it terrifically! What was one of the most memorable moments of Without You, There Is No Us? When Suki left the school to go back the the United States, the bittersweet non-farewell amongst the hope that her students would see her and her other teachers off. Both, in places. Since such a culture as North Korea involves duplicity on many levels, and Suki's position in particular adds another layer, it made me angry that one's life or livelihood or family is at stake for even one slip-up... It was difficult to read. 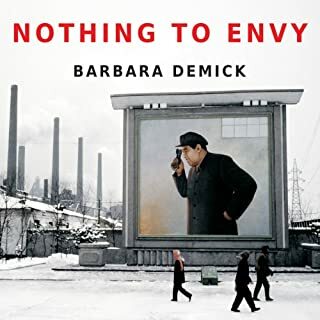 I read Barbara Demick's "Nothing to Envy" several years ago, and have been captivated by North Korea ever since. Both of these books capture different aspects of North Korean life, almost acting as continuations of each other. Both are worthwhile reads in their own right; Demick's journalistic eye and Kim's autobiography, before or after deaths of leaders, lives of peasants and schooling of the elite. You almost can't read one without the other, but they both stand on their own. 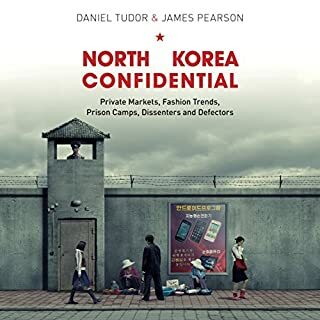 This is a nice memoir by an American journalist with South Korean parents who poses as a Cristian missionary affiliated English teacher for the sons of the North Korean elite both to tell their story to the world and to plant the tiniest seeds freedom within their minds. There is virtually no action, and very little unexpected, nevertheless I enjoyed the ideas and the message. The aspect I found most interesting was the glimpse into the enigmatic ideas and desires of the North Korean young men; Passionate patriotism alongside unspoken envy of the west, bravado and shame, strength and weakness, intelligence and naiveté, pride and selflessness, bravery and fear, hate and love. The book itself is a study in conflicts being at once heavy and light, pessimistic and uplifting. I left feeling more connected to the North Korean people, and (slightly) more optimistic about the glacial progress of freedom in that country. 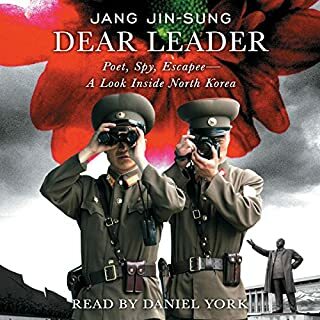 The narration is flawless, with tones of voice expressing the narrator’s inner state along with excellent characterizations, accents, and Korean language. I think few will love this book, and I am unlikely to listen to it again, yet I am quite pleased I listened to it and think most sensitive readers will appreciate what is revealed. What made the experience of listening to Without You, There Is No Us the most enjoyable? This is not a story that you will "enjoy". Love doesn't conquer all, the good guys don't win, there is no happy ending. But it is something you will appreciate having read. North Korea is a force to be reckoned with, yet most of us know very little about the country or its people. This book gives us a tiny glimpse behind the curtain. I loved the author's tenacity, her willingness to put herself at risk to reach out to the people of North Korea and tell them that there is a lot more outside of their limited visibility, and to bring back to all of us a written description of what life in North Korea is like. The book started a little slow for me but before long I found myself pulled in. I can't imagine how frightening it would have been to teach in that school, especially knowing she would be writing about it. I'm very curious about what consequences there were for the school, teachers and students. Provides unique insight into a slice of North Korean life. 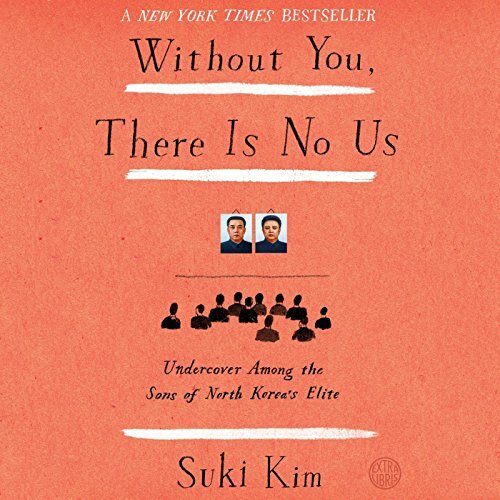 Where does Without You, There Is No Us rank among all the audiobooks you’ve listened to so far? 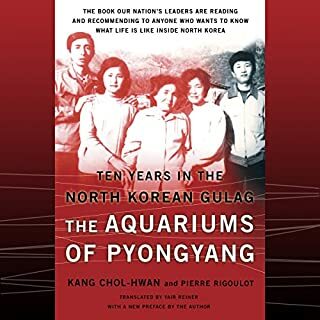 This book is so educational about the life and culture of a group of "elite" young males in North Korea (DPRK) and their South Korean/American English teacher. Elite in North Korea is an oxymoron. I respect and value the mental and emotional struggles she experienced in always trying to be honest at all times with her students and her missionary coworkers who assumed she was Christian; description of their daily life - monotonous, and pervasive indoctrination and total distrust; and constantly having to be mentally careful of her words and actions. She so well explained the psyche of these students who since birth have been isolated from the rest of the world; indoctrinated to believe that North Korea is all powerful; and without "their dictator" who was all knowing and powerful that they would not be or survive. I had a read a couple of books about struggles of poor North Koreans and this book is important because it shows the reader why the next generation of influential male adults will act as they do. The author Suki Kim who risked returning to the country where her grandparents had fled to learn about life in DPRK today and tell this story in a book. What does Janet Song bring to the story that you wouldn’t experience if you just read the book? I appreciate that both the author and narrator were women since this is a critical part of the memoirs. There is so much not to be forgotten in this book, but I shall always remember that one student was not upset about being caught cheating at Trivia, but he "should have cheated better. What true undercover journalistic endeavor! The closeness Suki felt was so heartfelt! The same for the students! The secrets kept by all were mind bending! Transporting and with Real heart. The story takes you on a journey of self and search. You feel a real heart strumming for the writer to find her voice and tell her story. I listen to many audiobooks because I cannot see letters. So, audiobooks take words off the page and I hear them as pictures. "Without You, There's No Us" I heard my life's story put more elegantly then I could put into words. I have shared this audiobook with my mom ,who knows me. And My mom said, "this book is beautiful." I cried when listening. You can hear the conflict of the writer's heart that you empathize with. If you travel and feel somewhere and nowhere all at once. Then wonder if you are lost. This book is for you. note: to get this work out of North Korea is a work of a journalistic spy. The book was excellent. The story is very sad. Wish there were more hope for the North Koreans. It is very disturbing. Also read Nothing to Envy. Also well done. I was amazed at how such a bleak, monotonous, robotic, lifeless existence could backdrop such a chilling and absorbing account. Superb well written book and a great insight into life inside the DPRK. The narration is also well done too. Having already read Nothing To Envy I was sceptical if another book on the topic was required reading. But this is brilliant. Somewhat more emotive and visceral given the intimate connection that forms between the author and her students as well as her own relationship to the subject matter being South Koreans herself. Would you be willing to try another one of Janet Song’s performances? A memorable book based on the writer's experience as an English teacher in North Korea. unlike other books this book is not overly factual and therefore easier to follow and gives an insight into the train of thought of young students, brainwashed by the regime in North Korean. It gives a harrowing outlook of their bleak future and the poor conditions endured by them and the people of North Korea. Should also be listed under Comedy at the UK site! A was very pleasantly surprised. And when reviews mentioned it being sad, it wasn't anything you wouldn't want to hear. I enjoyed the way it was so informative and interesting. In fact it was quite enlightening, just not the R.W. Emerson sense of enlightenment... more like revealing! I strongly recommend this book. As someone who knows very little about the country, I found this such an interesting read, and admire the author's bravery for living in (and writing about) Pyongyang. It's both touching to hear the stories of the author's interactions with the students, and chilling to hear how almost every detail of their lives is regimented. 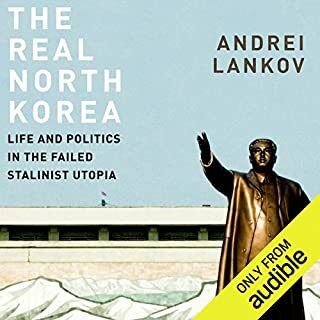 As someone very much unfamiliar with North Korean culture or history besides that portrayed in Western media, this was a fascinating glimpse into a part of it. I also found the author's parallels with Christianity thought provoking. This book gives you an amazing insight into a country that is almost forgotten and lost to our modern world. A country only ever mentioned when talking about war. A country that few see and even fewer see behind the curtain. A look at the everyday life, the diversity and difference. An almost 9hour audio book that I'm about to finish 3 days after purchasing. I cannot stop listening! Apart from it being an engaging story: the person who voices this story does it justice in a way few audio books do. The voice is of a person whose pronunciation of the English is perfect AND the Korean! They use different tones & pitches for different people without it ever seeming like a caricature or overacting. This book made me want to go to North Korea: to experience (as much as the government will allow) their culture and country for myself! Good insight to North Korea. A bit naive and biased at times about western world.